A new green roof is planned for the Louisville Metro Archives building near the corner of Seventh Street and Industry Road in part of the Algonquin neighborhood designated as Park Hill. A four-story brick and concrete warehouse at 635 Industry Road will receive the new roof as part of $7 million in federal stimulus funding heading to Louisville for energy efficiency improvements. The structure housing Metro Archives is part of the B.F. Avery & Sons Industrial District and is listed on the National Register of Historic Places. Eight remaining buildings on the 57-acre campus once producing agricultural implements were built between 1909 and 1919 and are connected by underground tunnels, some with trolleys (perhaps along the lines of these other freight subways). 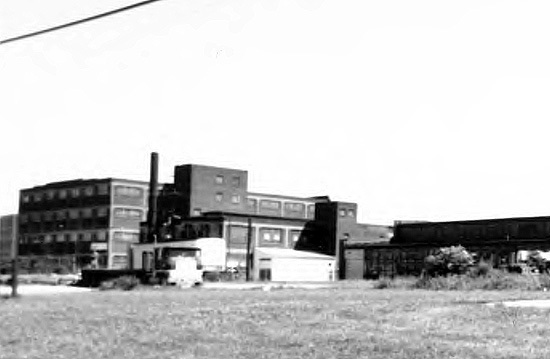 Avery & Sons operated from 1845 until 1957. The structure receiving the green roof was built in 1919 and served as a warehouse for the industrial operation. The green roof is part of a $1.5 million grant from the U.S. Department of Energy intended to improve efficiency of government buildings. Besides the Metro Archives green roof, funds will cover solar panels and new energy efficient lighting at government buildings. Metro Archives represents the second Metro Louisville building to build a green roof. The Metro Development Center on Fifth Street Downtown opened its green roof this Spring. We covered many of the benefits it will provide in an earlier article. The Louisville Zoo also plans a large green roof on its HerpAquarium building using federal funds. Metro Louisville plans to install additional green roofs in the future where buildings are deemed structurally sufficient to handle the extra weight. $1.4 million to create a loan program at the Louisville Community Development Bank so non-profit organizations can make energy-efficient improvements to their buildings; an additional $200,000 will establish a fund for non-profit companies to conduct energy audits. $1 million to synchronize traffic lights on major suburban corridors in Louisville, including Dixie Highway and Shelbyville Road.